Day 37, Why invest in alluvial gold? When most people think about gold mining, two images come to mind. First, we all grew up learning in history class about the 19th century gold rush, with thousands of ambitious speculators migrating West with nothing but picks, shovels and metal pans to explore the hills and rivers of Nevada and California. Second, the vision of modern mining is of huge operations managed by multi-national corporations investing hundreds of millions of dollars. What you never hear about though, and what presents a lucrative option for the sophisticated individual investor, is placer gold mining. Placer mining is the mining of alluvial deposits of precious metals, either in rivers and river banks, or in now dry ancient river beds. Gold deposits found in rock formations in the mountains and along the rivers, disrupted through erosion, are displaced via flowing water from rain and washed downhill and concentrated in streams and rivers. Accumulated over thousands of years, these alluvial gold deposits can be extremely rich and relatively easy to access compared to vein deposits found in the surrounding hills and mountains. Historically individual speculators would look for gold in rivers using the simple panning method we have all seen in the history books. While many people still search for gold using this ancient method, a large variety of modern equipment and advanced techniques have been developed in recent years to access richer gold deposits found deeper in river bottoms and dry riverbeds, and to dramatically increase the percentage of gold recovered. Large-scale river mining usually involves a suction dredge, which is a high capacity pump sitting on a floating platform. The dredge can suction a large quantity of material from riverbeds. 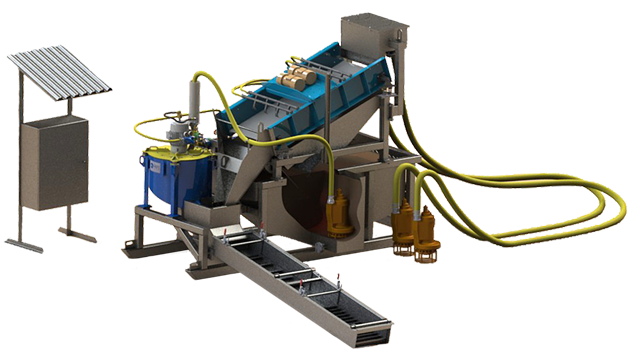 After the material is brought to the surface, it gets processed through a variety of machines to separate and concentrate the gold before being deposited back into the river. Dredges can process a large quantity of gold-bearing material quickly and efficiently, and using modern equipment and techniques a gold recovery rate of 80-90% is possible. The use of this type of modern gold processing equipment, which is surprisingly affordable, can result in very high gold recovery rates. Placer gold is usually found close to the Earth’s surface and can thus be accessed more easily. Conventional hard rock mining can be considered profitable from about 1 g of gold per tonne of rock, but mining alluvial gold can be economical from as little as 0.2 g per cubic metre of gravel. Placer gold deposits can contain substantially high gold grades. Historically, placer gold mining has had an impact on the environment in many countries. However, modern placer mining uses only water and gravity to recover the gold and is much more environmentally friendly. The rising price of gold has dramatically boosted interest in placer gold deposits and RIO SUERTE is well placed in this growing sector of the industry in Guatemala. RIO SUERTE projects are supported by our CEO knowledge, experienced placer geologists , mechanical engineers and technical staff as well as the right equipment to do the job and through ready access to the Company. Investing in gold can provide a lucrative opportunity for wise investors. Gold prices have seen consistent rise in the last fifteen years. While there is inevitable fluctuation in the market, the overall price per ounce of gold has risen dramatically, more than tripling since 1996. Gold investors must consider how much gold stock they would like to own, and how much actual gold metal they would like to own.Gold stocks are suited for speculators and market aficionados, while gold ownership is suited for savers looking for an indestructible security. Both are valid forms of gold investing that can be incorporated into a portfolio. Guatemala is the most gold-rich nation in Central America, but it is also the most under-explored and under-developed. Due to security issues and political instability over the past half century, gold production was largely on hold, and by most estimates less than 8% of the country has even been explored. The security situation has changed dramatically and every day the country is becoming more secure. In addition to rich mineral deposits Guatemala offers a favorable investment climate with legal and financial incentives for mining companies, protection for foreign investment and continued macroeconomic stability in spite of people against mining. The longer river in Central America and it contains gold!!! The result is that Guatemala has a huge network of rivers and dry river beds which are rich in gold and other precious metals, but largely untapped using modern gold recovery equipment. 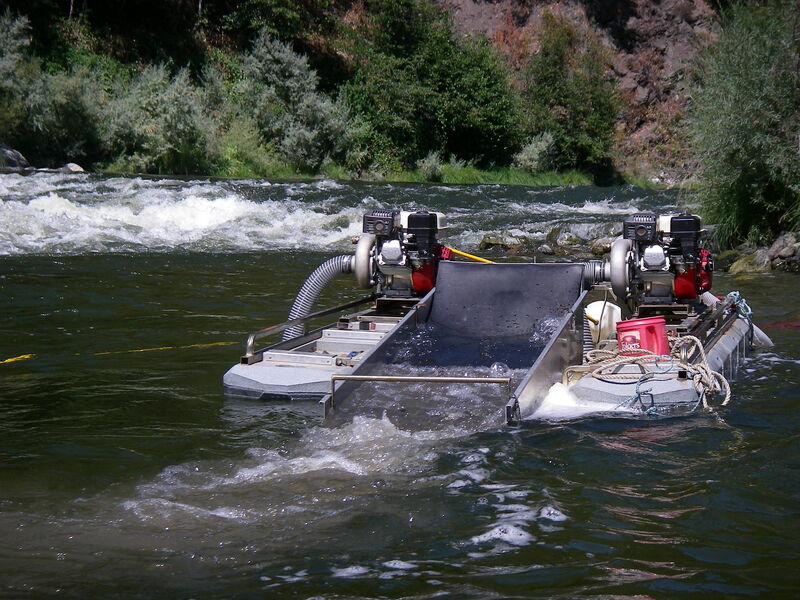 Access to placer mining sites tend to be relatively easy since personnel and equipment can generally be transported by car, and infrastructure is usually located along waterways. Placer mining equipment is also not expensive when compared to the equipmentrequired for hard rock, and the exploration process of placer sites is much easier and economical than for traditional hard rock projects. Finally, once production begins gold is being recovered immediately, so positive cash flow is generated immediately and profitability on a typical project is achieved quickly. Everyone knows gold is a great investment in these times of uncertainty and currency devaluation. Most gold investments are in the precious metal itself, purchased at retail prices on the open market, or in the shares of gold companies that often fluctuate wildly. Most people don’t realize that they can invest in gold production with an investment of under a million dollars, and achieve profitability in under a year. Now is the time to consider an investment in placer gold mining in Guatemala and Rio Suerte have a place for you.